No chart is included. 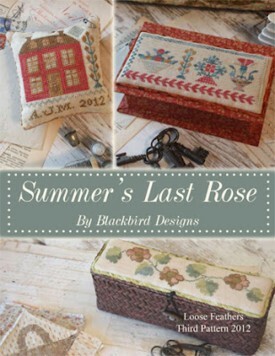 Summer Berry Pincushion thread pack only. 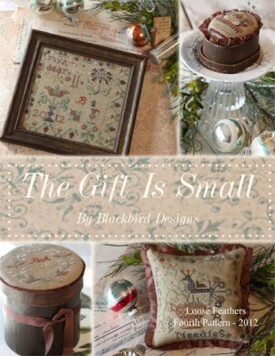 Stitch count is 56 x 64.Recommended linen is 30ct R & R Vintage Gray. A good alternative linen is 32ct Belfast Platinum. Gentle Art Sampler Threads are Cidermill Brown, Dungarees, Endive, Garden Gate, Chamomile, Mustard Seed, Holly Berry, Parchment and Weeks Dye Works Dove. No chart is included. The Agnes Pratt's Strawberry Sampler Thread Pack only. Stitch count is 279 x 197. Recommend fabric is 30ct R & R Vintage Gray. A good alternative linen is 32ct Belfast Platinum. 9 Gentle Art Sampler threads are Cidermill Brown, Dungarees, Endive, Garden Gate, Grape Leaf, Grecian Gold, Harvest Basket, Holly Berry, and Parchment. Belfast 32 ct Platinum 18" X 27"
Belfast 32 ct Platinum 27" X 36"
Thread pack only, no chart is included. Weeks dye Works are Cornsilk; 9 Gentle Art Sampler threads are Otter Creek, Old Red Paint, Lexington Green, Mountain Mist, Burlap, Caramel Corn, Dried Thyme, Grasshopper and Pomegranate. Thread pack only, no chart is included. 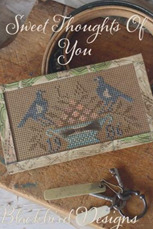 Gentle Art Sampler Threads are Antique Rose, Apple Cider, Caramel Corn, Cidermill Brown, Flax, Grasshopper, Heirloom Gold, Mountain Mist, Old Red Paint, Otter Creek, Parchment, Picnic Basket Piney Woods, Tin Bucket, Toffee, Uniform Blue and Expreso Bean. Recommended linen is R & R 30ct Creme Brulee, stitch count is 127 x 131. Thread pack only, no chart is included. 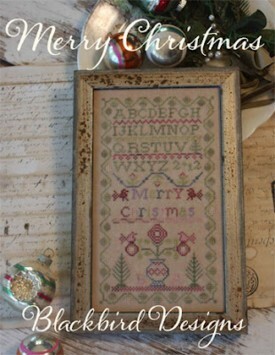 Gentle Art Sampler Threads are Antique Rose, Burlap, Caramel Corn, Cidermill Brown, Dried Thyme, Faded Rose, Flax, Garden Gate, Grasshopper, Lexington Green, Old Red Paint, Toasted Barley 10 and Weeks dye Works Schneckley. 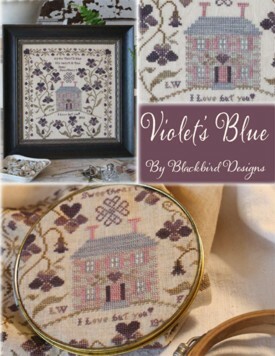 Recommended linen is WDW 30ct Putty, stitch count is 49 x 50. Design size is 139w x 148h. The design is stitched on R & R 30 ct Iced Cappuccino. Weeks Dye Works 30 ct Parchment is a good substitution. Thread pack only. No chart is included. 9 overdyed cotton threads are Crescent Colours Gingersnap; Gentle Art Samplers threads Antique Rose, Apple Cider, Old Hickory, Weeks Dye Works Galvanized, River Rock, Saltwater Taffy, Stepping Stone, and Stone. Weeks Dye Works 30 ct Parchment Linen 17" x 26"
Weeks Dye Works 35 ct Parchment Linen 17" x 26"
Recommended fabric is Weeks dye Works 30 ct Putty and Gentle Art Sampler Threads. Thread Pack only, no chart is included. Gentle Art threads are Maple Syrup(10 yard), Harvest Basket, Pomegranate, Grape Arbor, Tin Bucket, Parchment(10 yard), Grape Leaf(10 yard), and Picnic Basket. Weeks Dye Works 30 ct Putty Linen 17" x 26"
Weeks Dye Works 30 ct Putty Linen 34" x 25"
Fabric used is 30ct R & R Abcedarian Blend and the design size is 189W x 91H. Belfast 32 ct Hand dyed Heritage or Weeks dye Works 30 ct Parchment is a good substitute. Thread pack only. No chart is included. 22 overdyed cotton floss. 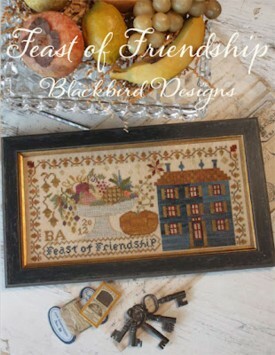 2 Crescent colors are Blue Corn, Ye Olde Gold; 20 Gentle Art Sampler Threads are Brandy, Burnt Orange, Caramel Corn, Cornhusk, Endive, Gingersnap, Grecian Gold, Heirloom Gold,Mulberry, Old Purple Paint, Parchment, Piney Woods, Pumpkin Pie, Rose Garden, Sarsaparilla, Tarnished Gold, Tin Bucket, Toffee, Uniform Blue and Woodrose. Belfast 32 ct Hand Dyed Heritage 15" X 26"
This hand dyed linen is perfect for sampler. The design size is 77w x 140h. Recommend fabric is 35 ct R & R Abcedarian Blend. Anita's recommended alternative linen is 35 ct Weeks Dye Works Capuccino, Edinburgh 36 ct hand dyed Heritage, Edinburgh 36 ct hand dyed Sandcastle or 32 ct Belfast hand dyed Heritage. Thread Pack only, no chart is included. 10 Gentle Art Sampler Threads are Avocado, Baby Spinach, Chamomile, Dried Thyme, Dungarees, Faded Rose, Hyacihth, Lambswool, Red Grape, and Rose Garden. Weeks Dye Works 35 ct Cappuccino Linen 17" x 26"
Edinburgh 36 ct Linen Hand Dyed Sandcastle 16" X 27"
Recommended fabric for all 3 designs 30 ct R & R Creme Brulee. The design sizes are 109w x 46h; 55w x 58h and 129w x 31h. Anita's recommended alternative fabric is Weeks dye Works 30 ct Parchment or Belfast 32 ct Hand dyed Heritage or Belfast Antique Ivory. Thread Pack only. No chart is included. 14 Overdyed cotton floss. Weeks dye Works are Aztel Red, Bright Leaf, Mocha, Dove, Oak, Peach, Cadet; Gentle Art Sampler Threads are Heirloom Gold, Apple Cider, Dried Thyme, Mountain Mist, Mustard Seed, and Woodrose. Weeks Dye Works 30 ct Parchment Linen 34" x 25"
3 designs in this chart. 9 threads are used in the main design. If you plan to stitch the 2 other bonus charts, the additional thread you need is Gentle Art Heirloom Gold.Fabric is 30 ct R & R 30ct Abecedarian Blend. The main design is 122W x 233H; the bonus designs are (Polk, Nebraska)89W x 125H and (A flock of friends) 89W x 125H. 2 type of thread packs will be available, 1 is silk and the other is overdyed cotton. No chart is included. 9 Overdyed Cotton Floss only. 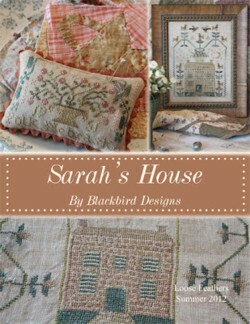 Thread pack for Sarah's house Main Design (Sarah's House); 9 Gentle Art threads are Caramel Corn, Linen, Cucumber, Burlap, Raspberry Frost, Wheat Fields, Piney Woods, Grape Leaf, and Cornhusk. Recommended fabric is 30 ct R and R Irish Cream. Design side is 119 x 201. Thread pack only. No chart is included. 11 overdyed cotton threads. Crecent colours are Cinnamon Toast, Fool's Gold(2), Hazelnut, Nutmeggie; Gentle Art are Apple Cider, Blackboard, Endive, Old Hickory, Sable and Tin Bucket. There will be 4 booklets in the series. 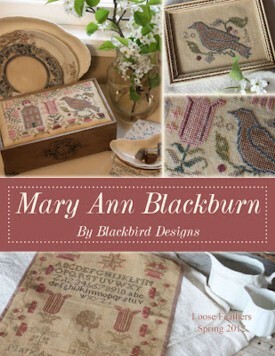 One main antique sampler (Mary Ann Blackburn) and 2 bonus charts (Perching and Spring Song/jewelry box). 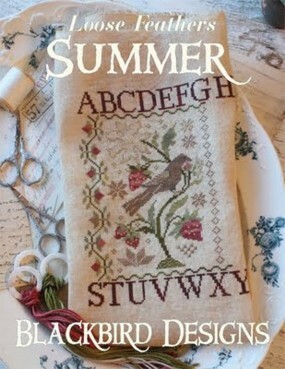 All 3 designs are stitched on 30ct R&R reproduction linen Sheeps straw. 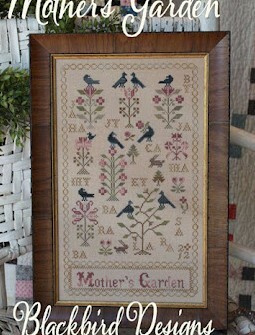 The stitch count for the 3 projects are Mary Ann Blackburn (142 x 157); Perching (53 x 39); and Spring Song (126 x 73). 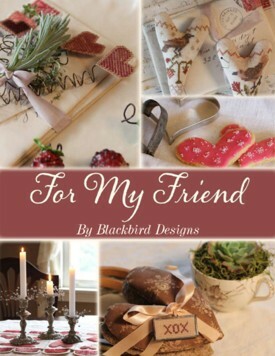 12 projects are included in the booklet. Thread pack only. No chart is included. 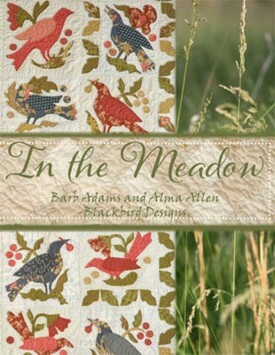 6 Gentle Art Sampler Threads are Burnt Orange, Caramel Corn, Mountain Mist, Old Hickory, Pumpkin Patch and Soot. No chart is included. Thread pack only for the MAIN/Featured Design only. 11 threads are included. 3 Crescent colours are Manor Red, Wild Berries and Queen Bees; 8 Gentle Art Threads are Flax, Carmel Corn, Piney Wood, Endive, Dried Thyme, Maple Syrup, Cidermill Brown, and Wood Trail. No chart is included. Silk Thread Pack for 2 Bonus charts only. 9 silk floss are included. 7 Belle Soie Silk are Pecan Pie, Rustique, Tumbleweeds, Vanilla Pudding, Tortoise Shell, Weathered Vine and Angel Blush; 2 Dinky Dyes Silk are Red Dust and Black Coral.